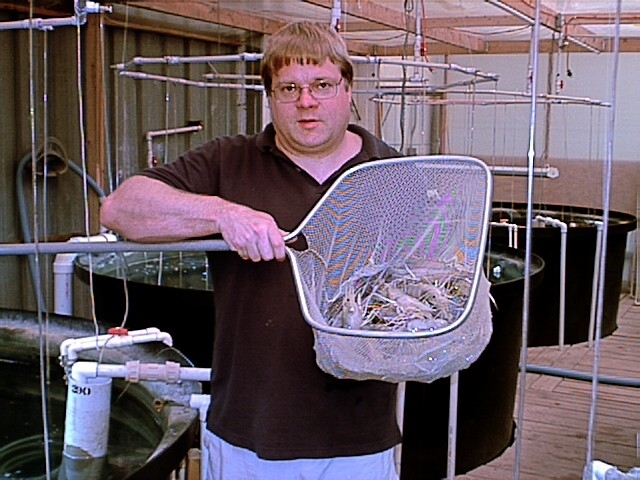 Aquaculture of Texas, Inc. is a freshwater shrimp hatchery supplying POST-LARVAE and JUVENILES of Macrobrachium rosenbergii year round. Since 1986 our product has been shipped by air to domestic and foreign markets via Dallas/Fort Worth International Airport. Our state-of-the-art hatchery is located just 10 minutes west of Fort Worth; less than 50 minutes from DFW International Airport. I have included a short list of books and periodicals, which I think are indispensable to the shrimp grower. General information on pond construction and management can be found in numerous aquaculture books available in local and college libraries. Also, your local county extension agent may be of additional assistance. If you wish further information about our POST-LARVAE or JUVENILES for use in monoculture or polyculture ponds feel free to call me at 817-594-4872. Orders may be placed by phone or e-mail.